Charles is more than willing to help clients with their aerial photography needs no matter what the platform: from fixed wing aircraft to roto craft or even dangling from ropes at the top of tall structures, as long as prudent safety measures are present. 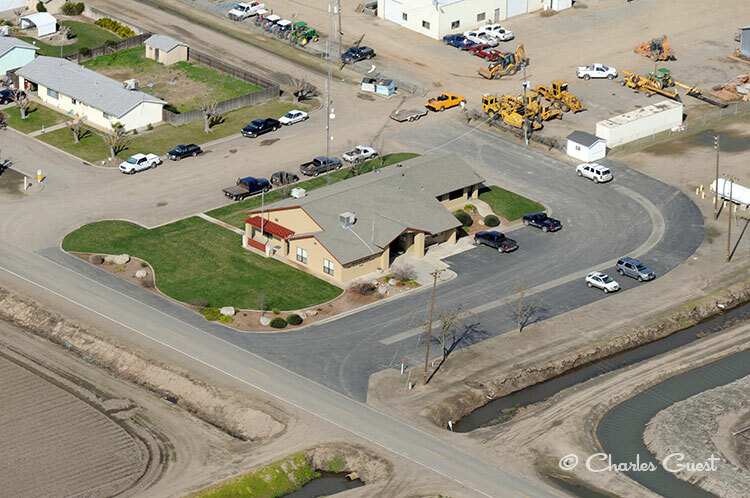 Photographs taken for the local water district were taken from an airplane. Photos were taken of different pieces of infrastructure throughout the county and shots were presented to lawmakers in Washington D.C. as part of a package developed by the water district. Charles accepted the opportunity to climb to the top of a 75 foot fire ladder to take photos of Henry Miller Community Plaza in order to photograph a memorial service for fire fighters and police killed in the September 11 attacks of 2001. His shots appeared in several printed publications and were the defining photographs of the event. Charles has rappelled from high structures to photograph disaster training exercises. His photographs captured every aspect of training, including high tower training & rescue scenarios with a helicopter! Click on our buttons to the upper left to explore the types of photography we offer. You can also contact us for pricing information or if you have any questions!